The story starts in old Goreyo. A young new king is escorted from Yuan—the present day China—to Goreyo by a group of Woodalchi—a specially trained brave soldiers who protect the king, under the leadership of General Choi Young. They defend the King with all their might from enemies who want him dead, but the Queen, Princess of Yuan, is injured fatally in the process. Her condition becomes so critical that the royal doctor gives up on saving her. In those days Goreyo was not completely independent, but at mercy of Yuan. Most of the kings were married to Yuan princesses, so the queens of that era were non natives, and the death of the newlywed queen would mean war, death and loss for the kingdom. The King therefore is in a great dilemma. So on the advice of ministers, he commands Choi Young to enter the ‘heaven’s gate’ and bring a doctor from heaven to the mortal world to save the queen. The heaven’s gate is actually a portal to the present day Seoul. Choi Young abducts a plastic surgeon, Eun Soo, to the Goreyon land. While Eun Soo operates on the Queen using ‘heaven’s tools’ thinking it all to be a nightmare at first, the rumors of Hwata’s disciple descended on earth spreads across the kingdom. This attracts the attention of The Prince of the Court, Gi Cheol, who at first wants this fake High Doctor publicly executed for misleading the king, but then wants her for his own overambitious self, for his own gains. A Still from "Faith" aka "The Great Doctor"
This is a drama in which the writer has deftly used the history, mythology, and Korean legends along with a bit of fantasy to weave a beautiful and powerful story. Mythology and Legend: About a thousand years ago a heavenly doctor came to Joseon, the former Goreyo, who cured the deadly, incurable diseases and saved many a person from death. He was their savior when communicable diseases were rampant and became an epidemic. This legend is used to advantage in the story. History: Though I don’t know much about the history of Korea, from the Joseon era to the present day, what is depicted in this drama series is very interesting. It tells the story of one of the most influential kings of that time, who ascended the throne at just the age of 21, not knowing whom to trust and whom not to, but brought about freedom to Goreyo from the over-powerful Yuan in the later years of his reign. 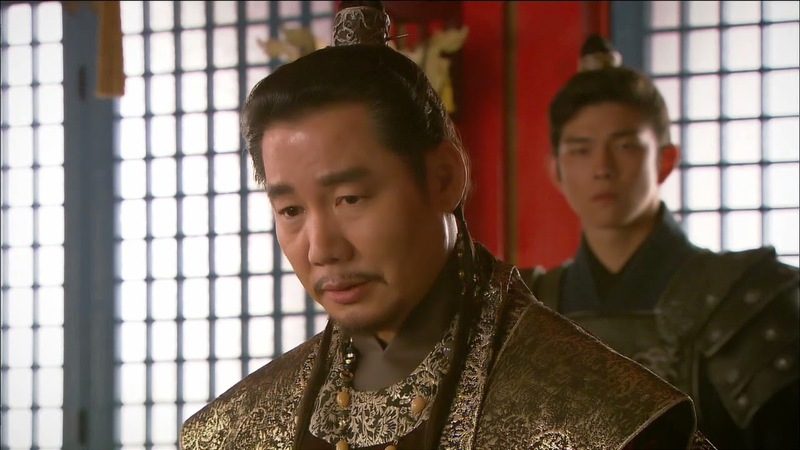 And the Woodalchi general, Choi Young, had the most important role in it—from making the King able to take the decisions of the nation, to devising plans and fighting alongside. Fantasy and Paranormal: Such elements bring twist in the tale, thereby elevating the entertainment quotient. The concept of time travel proves to be one of the best attributes of the story. It creates mysteries, and keeps the audience’s interest till the end. 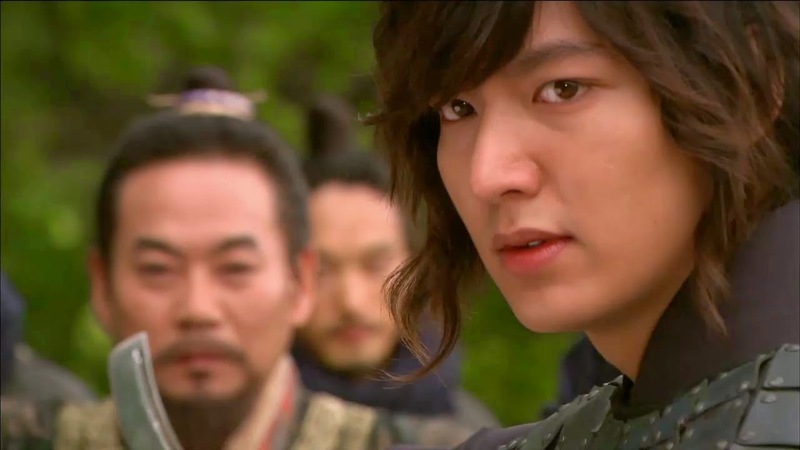 And certain individuals have special abilities too: Choi Young has lightning power; the antagonist Gi Cheol, the over ambitious achievement freak who is the best political opposition to the king, has the power to freeze things and his pledged brother and sister duo can kill people through the music of the flute and creating fire, respectively. 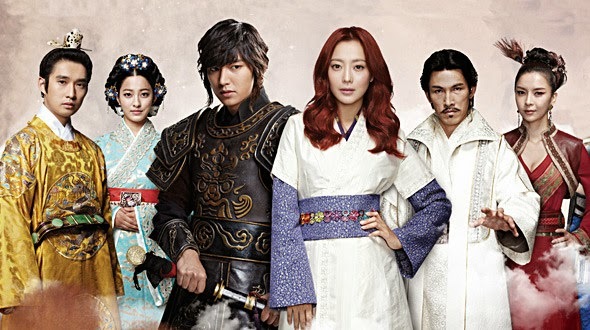 A Tale of Love across Time: The love story of Choi Young and Eun Soo is sure to tug the viewers’ heartstrings. This love across centuries, love defying time, will be a hit among romantics. From making her learn the way of their world to protecting her from innumerable death traps, Choi Young is falling for Eun Soo, even though he knows he has to keep his promise to her, to help her return to her world. And Eun Soo changes her perspective from seeing him as her kidnapper to the only one she can trust in the unknown world of past, and to be with him becomes a habit she’s reluctant to change. The gradual falling in love is beautifully portrayed in this period drama, while the question ‘will she return?’ refuses to cease anyone’s mind. The Elements of Mystery: Twist in the tale occurs when Eun Soo discovers a rusted set of surgical tools similar to hers, and a journal written in Hangul (the Korean script these days; back then only the Chinese script prevailed) in her own handwriting and addressed to her, which is claimed to be Hwata’s. Characters: The best thing about a Korean drama is that even the smallest and least important character has a memorable role to play and is strongly portrayed. The group of Woodalchi who live like brothers, supporting each other till death, and who don’t think twice to give up their lives for their king, are some of the best characters of this warrior story. Their respect and obedience to the General, and the unquestionable allegiance and loyalty to their King is worth a watch. It is believed that a 50 Woodalchi are equal to 500 military men. Ah, brave and chivalrous knights! Dae Man, the jungle boy who grew social under the tutelage of Choi Young, is the cutest one of the lot. He stammers, has difficulty in remembering or speaking many words at a time, but is Choi Young’s best sidekick, and is a master in hiding, spying and escaping tactics. The Ministers’ political antics give a flow to the story, against the conspiracies brewing against the king. The queen is proud, egotistical yet sweet. From adapting to a change of land, language and culture, to loving the king and siding with him against her birth kingdom, Yuan, her character is the one to root for. The Acting: Everyone’s acting is commendable. What I love the most about the acting is the grace with which they do everything. The grace with which they bow their head to pay respect, to wish, to apologise, or to take a command from a senior. The grace with which they fight, the sword play and martial arts being the best. The grace to show their pride and ego, or to protect their beloved. The grace to be shy, and avert eyes when embarrassed and the grace to cry, accept defeat, only to rise again. All in all, Faith is a complete package. And the unforgettable ending adds to the viewing experience. Will Eun Soo go back in time or shall she stay? Will their love story culminate or will it prevail? Well, you’ll have to watch to know, and you’ll be glad you did. Pratikshya Mishra is a self confessed dreamer who loves the world of fiction more than the real world. She’s currently pursuing her B.Tech in Electronics and Communication Engineering. A passionate blogger, she juggles her time between lab works, programmings and assignments; reading novels; watching Korean sitcoms and learning new skills to satisfy her curiosity every now and then. She dreams to own a big library, make a literary museum and eventually publish her work one day. In the years to come, she aims to sign off her name as- ‘Pratikshya Mishra, Engineer by profession; Writer and Blogger by passion.’ She blogs at Magic Moments. The thoughts expressed by her are personal. You're welcome, Mohammad. I guess another way of describing formulaic productions is 'corporate filmmaking'. The studio executive(s) control all aspects of the production and everyone involved is a work for hire, including the director. Rather than be concerned with elements like theme or style, they are more concerned with product placement and merchandising. Nothing edgy, innovative or thought provoking in corporate filmmaking. So I continue to look to the 'indies' for cutting edge cinema. There's a general misconception that the 'digital revolution' was a boom for indies. In fact it was a disaster, not only for indie filmmakers but for independent cinemas too. Professional digital filmmaking is astronomically expensive compared to shooting in standard 35mm. And the end result is merely a temporary digital file which is not archival and subject to obsolescence as formats change or the data is lost. The only way to preserve a digital production is to output it to a 35mm negative which is also more expensive than just shooting in 35mm to begin with. For theaters, many if not most of the independent cinemas have folded since they cannot afford the digital equipment which is also subject to obsolescence. 2K projectors were replaced by 4K projectors for instance. Both cost a little under $80,000 which is a huge expense for small theaters and it's an ongoing cost since they need to be replaced very five years or so or when a new format replaces it. In contrast, a new 35mm projector is about $10,000 and that's good for the life of the theater. Used 35mm projectors can be purchased for $1000 or under. As the small theaters folded and the large megplexes switched to digital, indie filmmakers lost a source of revenue and venue to play their movies. The megaplexes play studio product exclusively which pretty much revives the pre-1948 Studio System where a handful of large corporations controlled exhibition. On top of that, a new 35mm print was about $2000 and it could be booked into multiple theaters. A DCP (Digital Cinema Package) is $3500 and it needs to be uploaded in each theater it plays in. I know that indie productions will continue to be made but most will never be shown in cinemas and most will not survive unless they are putted to 35mm film for long term preservation. Fortunately, my seven features were shot on film so I have a 'hard copy' that can be transferred to whatever new format is developed in the future.